Please make a list of your claimed player(s) in-game names as I will be calling out claimed players by their IN-GAME NAME. I will not be using forum names at all. It is your responsibility to come up when you hear your player's name called out. I will not be calling out the names of any Secret Odin. Make sure you have all your gifts ready by the time the event starts. Double-check and triple-check! It will not reflect well if you forget a gift or 2. That said, thank you once again for volunteering to be a Secret Odin! With the amount of people in Lutie at this moment, it might be a little difficult to do it where planned. Remember everyone. 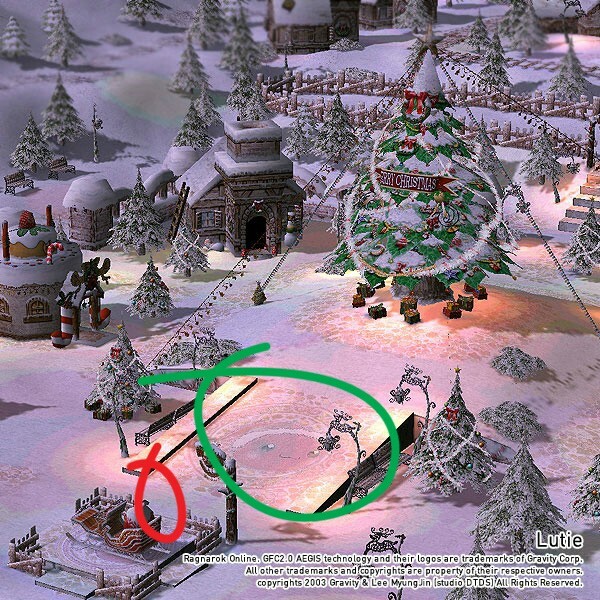 Gather on top of the Santa Poring picture, not under the tree (since we have those annoying quest NPCs there). There is no much people at Lutie at the moment actually. So everyone will be gathered around the Angeling and Arcangeling. Preferably close to the sleigh as possible. I think I may be slightly late. Some complications have arisen. Make sure you have an Assassin Cross name Senko Tora in your screen area. Edited by ZeroTigress, 26 December 2013 - 08:33 PM. Less than 5 minutes left! what will happen if Secret Odin doesn't appear?